Homogenization is a promising approach to capture the behavior of complex structures like corrugated panels. It enables us to replace high-cost shell models with stiffness-equivalent orthotropic plate alternatives. Many homogenization models for corrugated panels of different shapes have been proposed. However, there is a lack of investigations for verifying their accuracy and reliability. 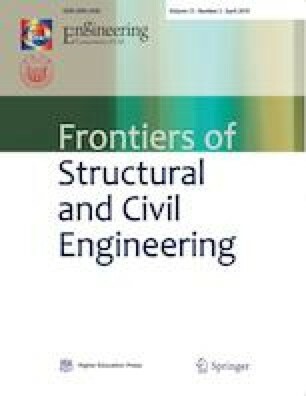 In addition, in the recent trend of development of smoothed finite element methods, the cell-based smoothed three-node Mindlin plate element (CS-MIN3) based on the first-order shear deformation theory (FSDT) has been proposed and successfully applied to many analyses of plate and shell structures. Thus, this paper further extends the CS-MIN3 by integrating itself with homogenization models to give homogenization methods. In these methods, the equivalent extensional, bending, and transverse shear stiffness components which constitute the equivalent orthotropic plate models are represented in explicit analytical expressions. Using the results of ANSYS and ABAQUS shell simulations as references, some numerical examples are conducted to verify the accuracy and reliability of the homogenization methods for static analyses of trapezoidally and sinusoidally corrugated panels. This research was funded by the University of Science, Vietnam National University Hochiminh City (VNU-HCM) under grant number T2015-3.